Winner Announcement for Year-End Giveaway Campaign Part 3! Since the last month, I’ve been holding giveaway campaign to show my gratitude to dear readers of JAPAN Style. Now, it’s time to announce a winner for Part 3 of the campaign. 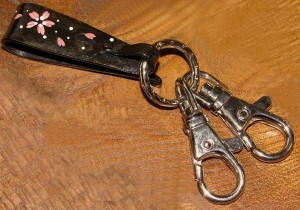 The prize for part 3 is Japanese iron key chain. I’m sorry for those who missed this item, but thank you very much for many applications!